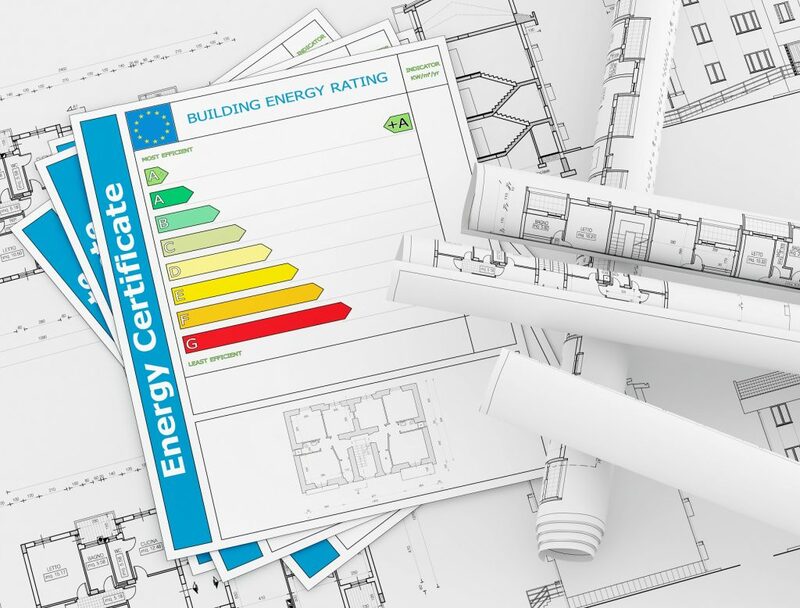 Business Energy Saving Tips | Controlled Air Inc.
Did you know that HVACR could account for 54% and lighting 10% of your buildings energy usage? Those figures are significant when you consider office equipment only uses 3%. 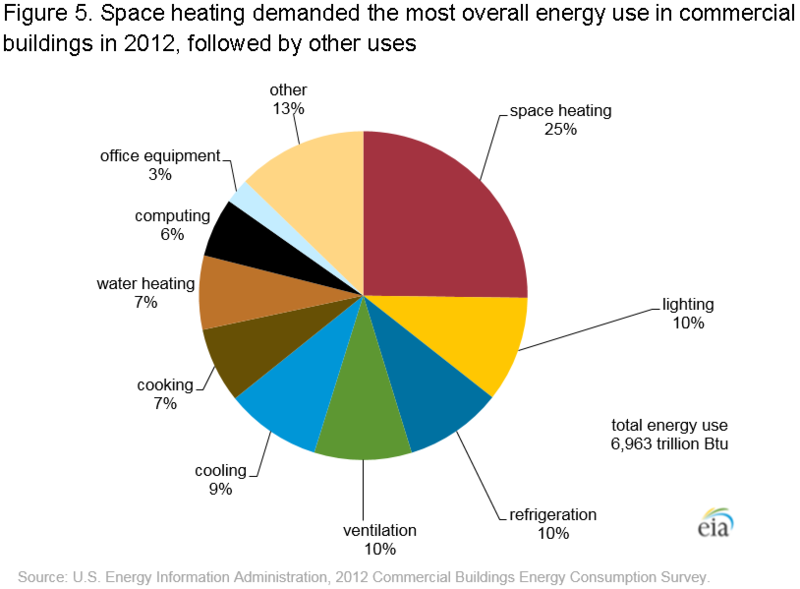 In 2012 the Commercial Building Energy Consumption Survey (year it was last performed) found that the total electricity consumption in commercial buildings has almost doubled since CBECS began tracking it. In the following article we list some small and large changes that could potentially reduce the on-going cost of operating your building system. When replacing old lighting equipment, evaluate new technologies that may need fewer fixtures and/or fewer lamps to produce the same amount of light. Where practical, replace fixtures with LED bulbs. Install occupancy sensors to automatically turn off and on lights. Remember updating lighting isn’t only about saving funds through the changing out of light bulbs but rather reducing the amount of lighting fixtures required. Newer LED’s produce more lumens, making it so less fixtures are necessitated to produce the same amount of light. Establish a preventative maintenance program for your heating, ventilation and air conditioning (HVAC) equipment and systems. The Building Efficiency Initiative found that effective maintenance can reduce HVAC energy costs by 5 to 40 percent depending on the system or equipment involved. Let’s just consider this example: If your entire building cost $100,000 in electricity per year to run and HVAC is 50%, is $50,000. A reduction of 5% would be a savings of $2,500 per year and a savings of 40% would be $20,000 per year. That amount will add up significantly over time. Repair leaks in piping, air ducts, coils, fittings and at the unit(s). Always make sure that you get a properly sized system based on your building load characteristics and specific occupancy needs. A unit either too small or too large will lead to increased energy usage. Install variable speed drives (VSDs) on large motor loads, to further reduce energy usage. Use outside air economizers for "free cooling" when outside air temperatures and conditions permit. In facilities with older chillers, consider replacing them with new, energy-efficient units that operate at or below .60 kilowatts per ton. Make sure your facility manager repairs leaks in steam traps and compressed air systems. Change filters regularly to improve air quality and reduce energy usage. In winter, set office thermostats between 65 and 68 during the day/business hours, and 60 to 65 degrees during unoccupied times. No lower than 65 degrees per CT Gen. Stat. Sec. 19a-109 –“When any building is used as an office or place of business, a temperature of less than 65 degrees Fahrenheit is deemed injurious to the health of the occupants”. In summer, set thermostats around 76 degrees during the business hours, and above 80 degrees during unoccupied hours. Consider installing locking devices on thermostats to maintain desired temperature settings. Install programmable thermostats that automatically adjust temperature settings based on the time and day of the week. Consider installing an Energy Management System. Your building system can be computerized to monitor and control, temperature; usage; and achieve better energy efficiency throughout your building. With an EMS you can automatically adjust and track heating, ventilation and lighting within a building envelope. Most energy management systems also provide the ability for reading of electricity, gas and water meters. Now, more than ever, cost-efficient energy management is a key to saving energy and lowering costs for every business. Take a walk through your facility, during the day and after hours. Make note of wasteful patterns and opportunities for saving energy. Controlled Air can also perform energy evaluations. We are experts in the use of Carrier’s (HAP) “Hourly Analysis Program”; a DOE tested and approved whole building energy simulation software. HAP is recognized by ASRHAE, the utility companies, the state and federal authorities as an accepted method for comparing energy saving measures. We normally perform a building baseline analysis and reconcile the current energy usage with the HAP output. We then model the proposed energy saving measures and compare these results with the baseline data to establish the energy reduction. This comparison and proposed energy savings can be used to get incentives from utilities, as well as tax rebates. Conduct regular maintenance on building equipment, which can produce big financial savings and have a positive impact on the environment. Regularly check building equipment to ensure it is performing efficiently all year long. Heating and cooling equipment should be checked monthly. Whether you have a large or small facility taking the steps above can help reduce operating costs. With the cost of electricity and oil once again on the rise, every bit of savings is important.